Well-maintained single level home on high bank river frontage for sale in Superior, Montana. 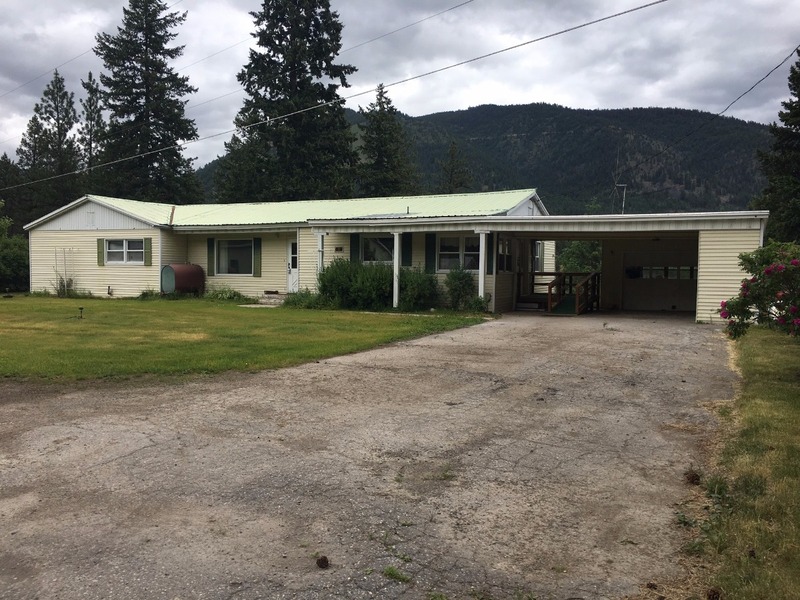 The home features a spacious living and dining area with a beautiful view of the Clark Fork River. There are three bedrooms, two bathrooms with one wheelchair accessible bathroom and ramp into the home. Lots of storage in this home including the unfinished basement and the pantry space off the utility room. The attached single garage/carport also has a workbench. Double detached garage with an additional stall to store your toys and work year-round as the garage has a wood stove and furnace. All bedrooms have hardwood floors! Great location and close to town with gorgeous views of the mountains, river and valley. The Clark Fork River is right out your door! Head to the Flathead River, Flathead National Forest, Lolo Hot Springs or the Bitterroot National Forest for a day with the family! This is a must see! Call Bessie at 406-822-4415 for more information or to set up a showing. #1903 Diamond Match Road Superior, MT 59872. Priced At $215,000.